Directed by Inge Wegge. Norway. 2014. 82 min. Norwegian with English subtitles. 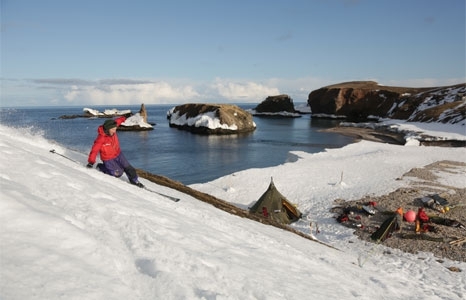 Three brothers hunt for waves on formidable Bear Island. They live in a tent, and carry all their stuff on sledges. Does the island have surfable waves? Will there be polar bears nearby? How much fun can you have on a small island? The Wegge brothers, known for their playful living, set off on their biggest project so yet.